Anti-Flag will release their new album, American Fall, on November 3rd. Today they’ve debuted the new single “American Attraction.” Pre-orders are up and the artwork and track listing are below. We stand in solidarity with those fighting racism and fascism in the streets of Charlottesville and beyond. We believe it is time for the removal of all monuments to the confederacy and the racism for which they stand. We must put these symbols of white supremacy into places where the proper context can be provided for what they actually are; outdated, backwards, and antithetical to what we believe the values of humanity should be. It is past time to have real conversations on systemic racism and America’s history of it. There are museums memorializing the Holocaust all across Europe, while America continues to try to hide from its racist and murderous past and present. Brian Marquis was recently in the studio recording some vocals for the new Anti-Flag record. Anti-Flag have released a series of videos dubbed “I Am Anti” that feature the band members tackling an issue that is important to them. The full series can be watched below. Sane not surprisingly predicts Anti-Flag’s next album “could end up sounding like a more angry record, maybe than we would’ve originally intended to make,” but nothing’s in stone yet. “Ultimately I just want to make the best record we can,” he says. “I think that for as much as the politics about all this are going to matter, writing the best songs we can and playing music is something that helps me keep my sanity — even when we’re doing songs that are political in nature and about difficult problems. So we want the music to be good, not just angry.” He’s hoping for a fall release, but Sane also doesn’t want to rush into topical commentary without giving issues some time to develop. We chose ‘Death Of A Nation’ as the lead track off of Live Vol. 1 for a number of reasons. The foremost being the parallels of emotions to the elections of George W. Bush and Donald Trump. The anxiety, fear and compassion we have for our brothers and sisters of marginalized and non-binary communities,” he says. “The song was written as a call to arms to rebuild. The work needs done, we must come together to not allow sexism, racism, trans and homophobic bigotry to become normalized. Anti-Flag are doing a charity raffle for one of their LPs pressed with a burnt American flag. This is a charity raffle. 100% of ALL MONEY received from this raffle will be donated to charity. each ticket purchases for a dollar is good for one entry to win one of two “Live Vol. 1” burnt american flag LPs (pictured below.) you may purchase as many tickets as you’d like, each ticket is good for one entry. 2 winners will be chosen on 1/6/2017. you may buy as many tickets as you want! Anti-Flag will release Live Vol. 1 on January 20th, 2017. Anti-Flag have launched a second group of auctions that include limited edition vinyl pressed with pieces of burnt American flag. A message from the band can be found below. Anti-Flag have posted up two auctions for limited edition vinyl pressings of their upcoming Live Vol. 1 LP. These pressings, limited to 10, include bits of burnt American flag pressed in the vinyl themselves. In times of bigotry and injustice, the artist community has always stood on the side of marginalized people. With the election of Donald Trump bigotry and injustice now stand center stage. When Donald Trump, his inevitable cabinet of political and corporate Washington insiders, and the rest of the Alt-Right burn the constitution, we burn the American Flag. While symbols and fabric feel no pain, people do. The forth coming administration will hurt the poor and their inclusion of the Alt-Right will hurt the LGBTQ community. 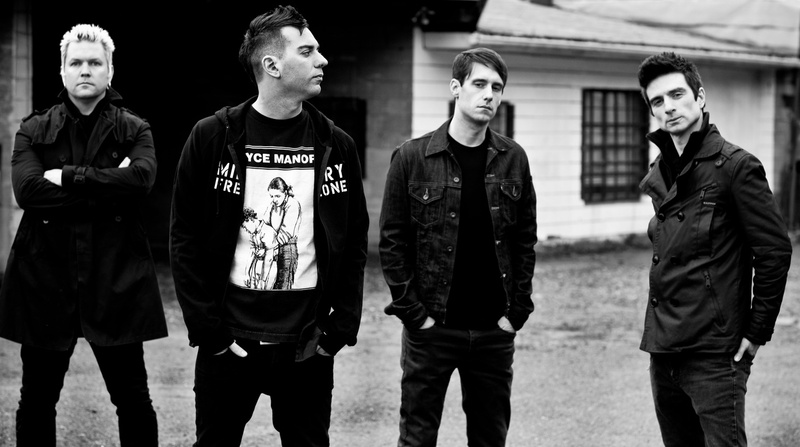 Anti-Flag have released their new 360º video for “Without End” (featuring P.O.S. and Tom Morello). Anti-Flag will be releasing an acoustic EP on June 24th. The EP will be a direct-to-vinyl release, called Live and Acoustic in Vienna, and all the proceeds will be donated to Amnesty International. You can pre-order it now on Bandcamp.